This is not just thermal blinds or polycarbonate roof inserts that other companies offer, this is a REAL ROOF. Its insulating properties are far superior and temperature control is never an issue. Our system is fully tested by structural engineers and uses high performance materials. 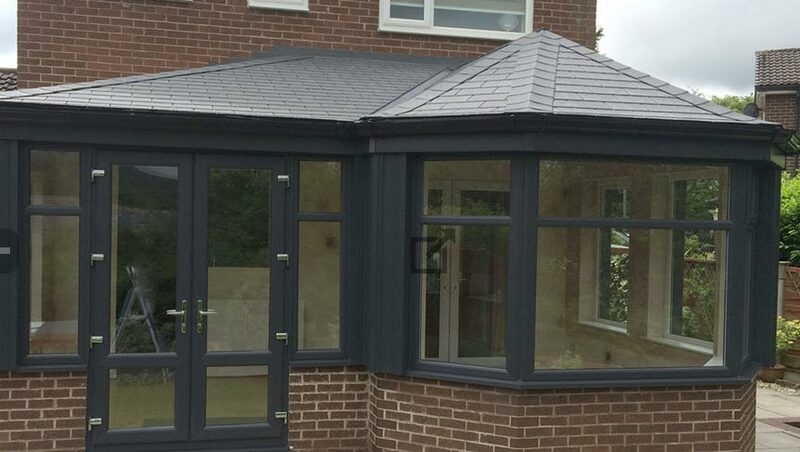 With a range of tiles to choose from, your new conservatory roof will blend seamlessly with the rest of your house, transforming your old conservatory into a beautiful extension of your home. One of the main advantages of a tiled roof is that your conservatory isn’t as susceptible to changes in temperature. 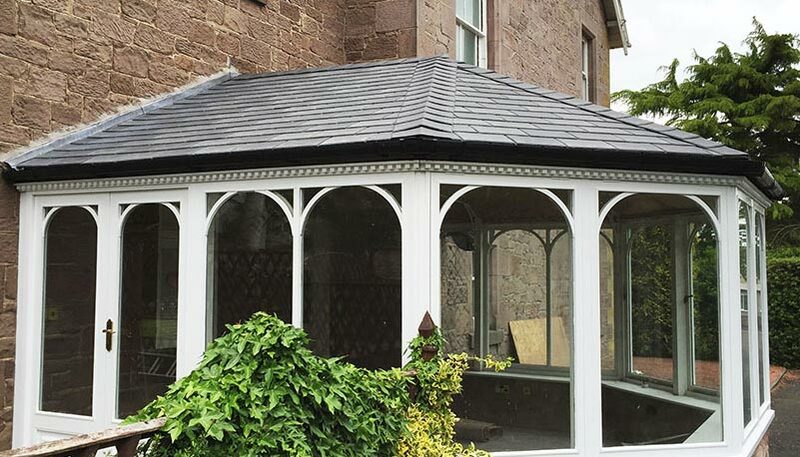 Our conservatory roofing system also gives you another way to personalise your space. The internal surfaces can be finished with plasterboard or tongue-and-groove so you can decorate it like a conventional extension. If you want to maintain a light, bright and airy environment, you can even opt for roof windows. The Window Repair Centre has a new showroom open to the public where you can view the full range of composite doors, A-rated double glazing and conservatory designs and finishes. You can find us at 213-217 London Road, Stockport, SK7 4HS. No appointment needed, just pop in for a chat with one of our friendly advisors.